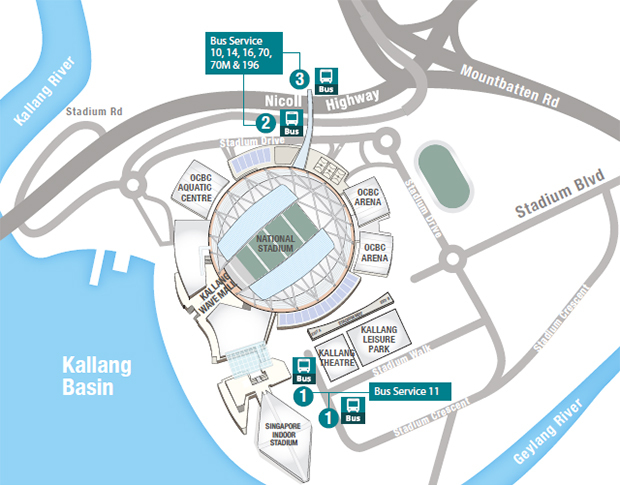 Stadium MRT Station (CC6) is the nearest station which exits directly into the Singapore Sports Hub. 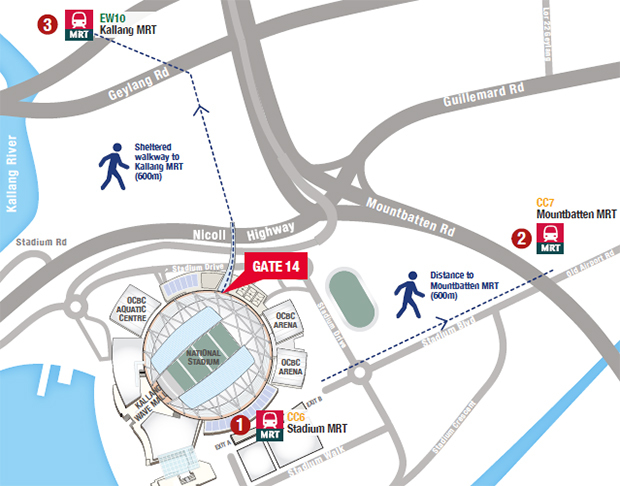 Mountbatten MRT Station (CC7) is approximately 600m walking distance from Singapore Sports Hub. This also serves as an alternative station via the Circle Line for leaving the venue. Alight along Stadium Crescent (Bus Stop No. 80199), which is directly outside Singapore Indoor Stadium. In the direction towards the CBD/City, alight along Nicoll Highway at the bus stop outside National Stadium (Bus Stop No. 80219). 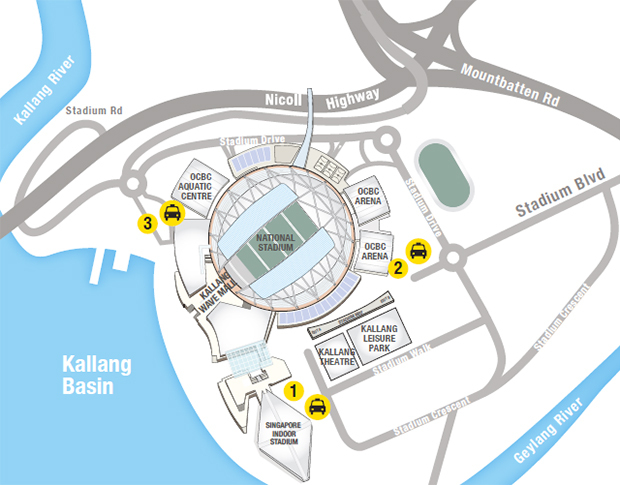 There are seven car parks located across Sports Hub to meet the parking needs of motorists. Click here for the Sports Hub map. Click here for the carpark T&Cs. Click here for season parking application.